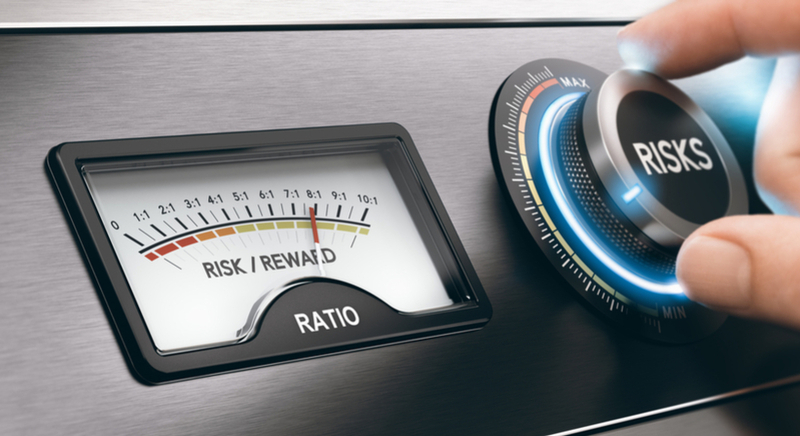 Most traders like to boast about their performance by mentioning the pips they earn… But the key issue is not about how many pips you managed to earn, but how many you put at risk. Earning 15 pips sounds decent but not if you risked 150 pips. This article explains why traders need to keep losses small and let winners run to gain the maximum in the long run. We will introduce the concept of the risk/reward ratio and explain how to use it for analysing your trades and statistics. The problem with focussing on pips is simple: you start to focus on closing trades for a win, no matter how small the gain might be. Soon, you will start accepting wins as small as 1-5 pips because you want to avoid losses. Even a few pips can earn you a decent amount of money if the lot size is large enough. This, in turn, encourages a risky type of trading where traders need to have an extremely high win percentage with high risk. The consequence is that one loss could eliminate or undo multiple, if not dozens, of smaller wins. A small series of losses could even wipe out the entire trading account (i.e., capital). This leads to extreme stress and nervousness around each and every setup. It is not surprising that beginning and intermediate traders struggle to achieve success with this trading style. It is difficult to gain an ultra high win ratio and stressful to manage these types trades, too. Traders should focus on winning in the long-term rather than with each new trade setup. In other words, winning a few battles does not guarantee winning the war. Traders must apply the same logic to their trading. How can traders win in the long run? By achieving a healthy balance between win percentage and the risk/reward ratio. Rather than aiming for small wins and a very high win percentage, traders are better off aiming for a normal or larger wins with a normal win percentage. A trade where you exit at 1.2300 has a R:R ratio of 1:1 because your risk is 40 pips and your gain is 40 pips as well. If you exit at 1.2380, you will achieve a 3:1 R:R (120 pips gain versus 40 pips risk). Traders who aim for 1-5 pips but use a stop-loss size of 10, 20, 30, 50, or even 100 pips are using a super large stop-loss size in relationship to their small gain. The R:R ratio of one trade is not so important. You might need to exit that trade at +10 pips because your market signals indicated a reversal. No need to stay in that trade just because of the R:R ratio. But in the long-run, it is important to achieve a balanced R:R. If you cut winners short and let losses run, your R:R ratio will be too low and you run the risk of losing too much with one loss. My trick is to let my winners run when possible, achieve normal wins with other setups, and generally keep losses small using trade management style. In the end, I manage to achieve about 1.5:1 R:R on the average. That means my wins are 50% larger than my losses. 40% win: (40% * 1.5) - (60% * 1) = 0.6 - 0.6 = 0. Nenad Kerkez and I try to aim for a win percentage of about 70%, but our long-term average is around 72.5%. We don't manage to catch this win percentage every week, naturally, some weeks are better, and some, worse. 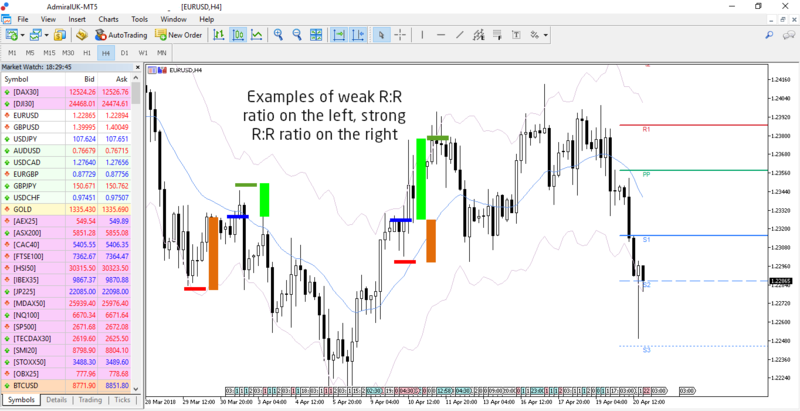 By aiming for a healthy R:R ratio, you can see that winning each setup is not a must. In my view, 1:1 R:R is a good figure to aim for in the long run. In fact, if you achieve a 1:1 ratio, you will only need 50% to break even and 55-60% to be a long-term winner. One thing is for sure – the higher the better.